In Al Gore’s new book, “An Inconvenient Sequel: Truth to Power”, the former Vice President features a professor of pediatrics warning that global warming is impacting our health. “Every organ system can be affected by climate change. When I say that, I get goosebumps,” says Pediatrician Susan Pacheco, a professor of pediatrics at University of Texas McGovern Medical School, in Gore’s new book. 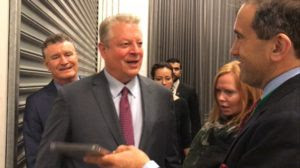 Gore’s book features Pacheco and her climate change health warnings and touts the fact that the professor was inspired to get involved in climate activist after seeing his original film. The book is a companion to Gore’s new film being released this month, a sequel to his 2006 film “An Inconvenient Truth.” The book is being billed as “Your action handbook to learn the science, find your voice, and help solve the climate crisis.” Gore’s new book excerpts available here. Excerpts of Gore reading the book available here. “Pacheco became convinced she could see the effects in her own clinic’s waiting room, in the Texas children she saw suffering from asthma, heat sensitivity, and allergies. Children and the elderly, she discovered, tend to be the most vulnerable. And while many adults have lived for years in an environment less affected by climate change, today’s youth will grow up with an entire lifetime of exposure. The potential for damage and illness, she suspects, is much higher,” Gore wrote. 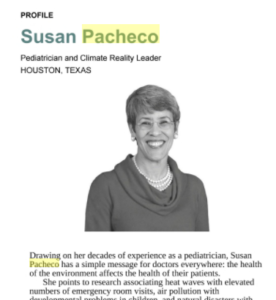 “Pacheco also founded the Texas Coalition for Climate Change Awareness. In 2013, the White House bestowed Pacheco with the illustrious “Champions of Change” award in recognition of her efforts,” Gore wrote. Gore ‘insanity and hypocrisy down under’ – Al Gore is jetting around the land Down Under, promoting his new climate chaos film and claiming manmade pollution is equivalent to 400,000 Hiroshima atomic bombs going off daily! Australian heat waves are now five times more likely because of manmade global warming! Teachers and journalists get free passes to Gore’s events, to get their propaganda talking points, but no one is allowed to record any part of his talks. 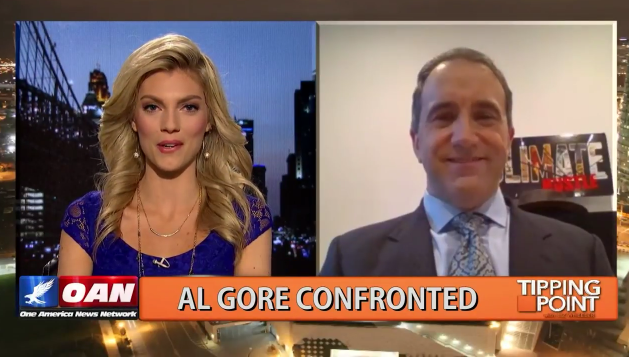 When Climate Depot’s Marc Morano offered him a free DVD of the Climate Hustle documentary film, a scowling Al Gore turned and headed to his SUV and private jet.